This week I am paired off with Echo from Domain of the Mad Mommy. Visit her blog at /themadmommy.com to read her answers to my questions. Here's what Echo asked me. 1. You and I both have unique names. Where does your name originate from and do you know why your parents chose it? My name is Italian and is taken from my mother's maiden name. It is pronounced Cash-a. My middle name is Lea which is pronounced with a long e, like Lee. My mother's maiden name is Cascioli. She just changed the o to an a and li became my middle name, Lea. There is also a city in Italy called Cascia and we have a saint from that city, Saint Rita of Cascia. 2. You and I both have boys that have been diagnosed with Autism, (my son's original diagnosis was Asperger's Syndrome which has now changed to PDD-NOS) what is the most valuable thing that you have learned since Parrot's diagnosis? Actually, I have two children with Asperger's Parrot and my oldest, Goose. What is the most valuable thing that I have learned since their diagnoses? I think I could dedicate a whole blog post to this but I won't bore you. Because I have two children whom I refer to as my Aspie kids, one boy and one girl, I have learned that boys and girls with Asperger's are very different from each other. Boys with Aspergers are very logical. To them and especially my little boy, everything is black and white. Opinions, feelings and anything abstract is challenging for boys with Asperger's. However, girls with Asperger's are the exact opposite. Girls are creative and very imaginative. When Goose was a little girl in order to avoid social situations which made her feel awkward, she would create her own imaginary world in her head with imaginary friends. On the playground at school she would go off by herself and escape into the imaginary world in her head instead of playing with the other girls. Today, at age 17, she is a very gifted writer and is working on her first novel. Parrot has other special gifts. He began talking at five months and was talking in complete sentences before he walked. I knew he was different the moment he was born. Today at age seven, he reads at a fifth grade level, does fourth grade math, and can put together a 500 piece jigsaw puzzle all on his own in about a day. But writing and expressing himself on paper is very challenging. Formulating an opinion about something is also difficult for my little boy. His teachers still think he is a genius. 3. Going along with the last question, what has been the hardest thing for you to understand or deal with? I am very outgoing and social. When I was a kid I made friends very easily and never felt awkward around other people. My aspies get very anxious around their peers. I don't understand this, and don't think I will ever understand it. My daughter is doing much better with socializing now. 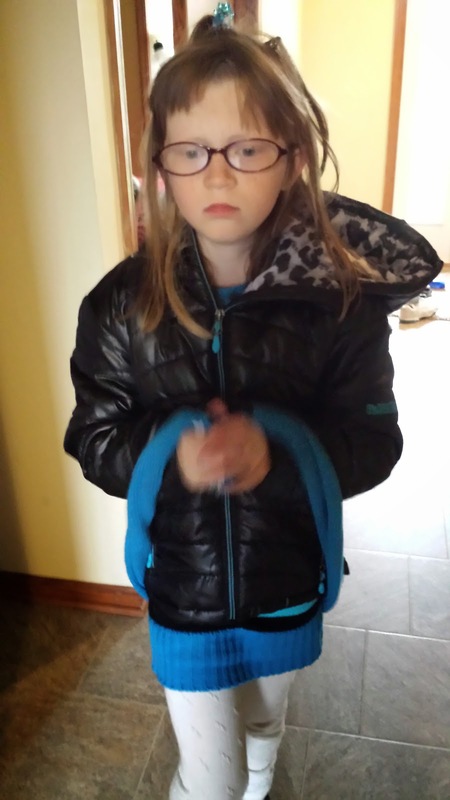 However, she still gets nervous around other kids her age. My son would rather talk to an adult about insects, his latest puzzle, dinosaurs, fish or a science experiment that he has done than approach another kid. His teacher told me that he loves science so much and is so good at it, that he could easily teach the science lessons to the class. When Parrot comes home from school I always ask him who he played with at recess and he always says, "Myself." The strangest thing about this for me is that he chooses to play by himself and he is perfectly happy with only having one friend. 4. I know that raising awareness is important to you, what is one thing that you wish more people knew about Trichotillomania? I could easily dedicate a whole blog post about this as well. Trichotillomania is more common than most people think. People of all ages, genders, ethnicities, nationalities, and socio-economic backgrounds have trichotillomania. In early childhood, it seems to occur as frequently in boys as girls. By adulthood, 80-90% of reported cases are women. It is estimated to affect 2-4% of the population, or two to ten million Americans. Kitty's Trich is triggered by anxiety. If she gets anxious or upset about something she will go into the bathroom, climb on the counter, look at herself in the mirror and deliberately pull the hair out of her scalp, eyebrows and eyelashes. Her Trich is very deliberate. However, other people with the disorder can't control it and they may not be aware when they pull their hair out. 5. You do a lot of neat projects with your kids, what are a couple of your favorite ones? When was the last time I did a project with my kids? I used to sit down and do educational activities with them in workbooks, but that was when Kitty and Parrot were still home with me. I don't have a favorite, because we don't do very many project together any more. Sometimes I will do a simple science experiment with Parrot, but we haven't done one in months. When we moved to Chicago I found I had a lot less free time to do fun activities with my kids. I wish I could share a project. Maybe I am going to have to set aside some free time, or "pull some free time out of my magic jar," so I can do a fun project with my kids. 6. You and I both do a lot of Wordless Wednesday posts, do you have any favorites out of the ones you have posted? My Evening Elixir is my favorite one. This is a classic one of Little Bear when he was a baby, Mohawk Baby. 7. I am all about quick and easy meals, with a family of 7, you must have an awesome go-to recipe. Care to share it? Sorry I don't have a photo, but I can share my favorite recipe when we have a busy evening and I don't have time to cook. Leftovers. We have leftovers on Tuesday and Thursday nights. But, I also use my slow cooker a lot. This is my family's favorite slow cooker recipe and it is very simple. Directions: Fill your crock pot or slow cooker with the above ingredients. Cook on low for six hours. Pull everything out of the slow cooker except for the water. Serve and watch your kids and husband enjoy! 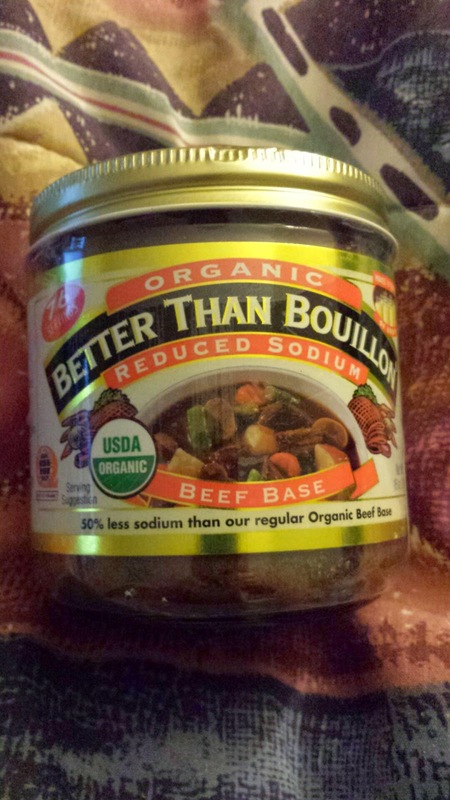 *You must use Better than Bouillon and not regular bouillon other wise the pork will be way too salty and too much sodium is bad for you and your kids. 8. I love your Friday Funnies! What is the funniest thing you heard, saw or experienced this week? 9. Everyone has a meme or video that makes them laugh out loud, which one does it for you? 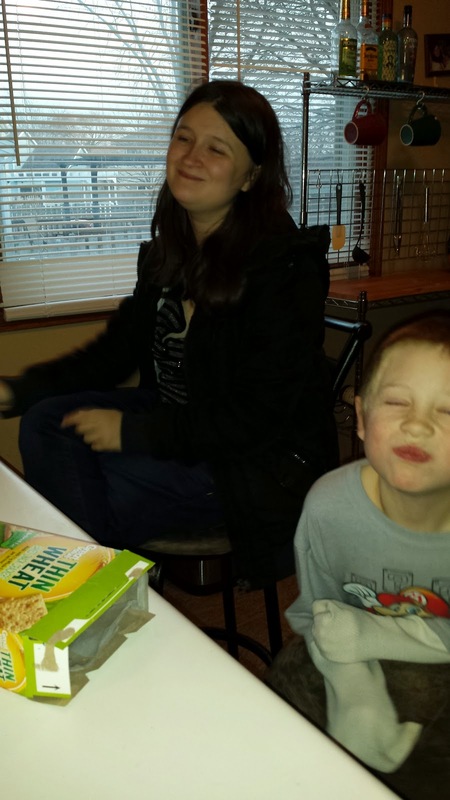 My kids always know how to make me laugh. My favorite is the video of Kitty in the Talent show last spring. It is six minutes long so only watch it if you have the time. I know how busy you all are. Whenever I capture my kids doing something funny on video I post it to YouTube. Make sure you subscribe to my YouTube channel so you don't miss any of the funnies from the Talbert Zoo! Movie: I have two favorites, "The Princess Bride," and "Forrest Gump." Actor: I don't watch a lot of movies, therefore I don't have a favorite actor. Song: This is hard because I listen to a lot of music. Right now it is Something in the Water by Carrie Underwood, but next week it might change. I listen to country music and have a lot of favorites. Shape: I've never had a favorite shape. Animal: I grew up around cats so I guess I am still a cat person. What are some of your favorites? Leave your answer in your comment. This was a lot of fun! 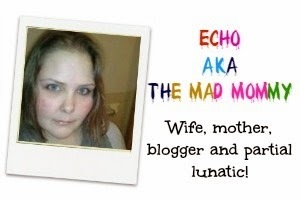 Don't forget to visit Echo at themadmommy.com to read her answers to my questions. Would you like to be my buddy for #AskAwayFriday? E mail me at talbertcascia@yahoo.com and we can arrange it.